Update: Gadgets on Iron Man 2 post now up. Frankly I was surprised and disappointed after seeing Tony Stark's mobile phone. It's an LG VX9400. I'm pretty sure of it, having reviewed it before (see my LG VX9400 review). It's the only phone with a rotating screen. Though the LG VX9400 does have a coolness factor for their screen and the ability to watch TV on the go, I doubt that a businessman and a rich guy like Tony Stark would settle for it. Finding Tony Stark's car was easy. There was no mistaking that 4 circles so I knew that his car was an Audi. It was only a matter of Googling before I found his car. There are only a handful of Audi sports cars out there. 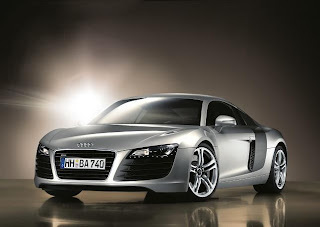 The 2008 Audi R8 has a V8 engine and is an all-wheel drive. Pretty cool but I still associate Ferrari's with the rich and famous. Come on, with that 2 second on screen time, it's hard to miss this VTech cordless phone. It's easy enough to find since VTEch only has four cordless phones with picture caller id feature. It has picture caller id because Gwyneth Paltrow's face popped up when she called. 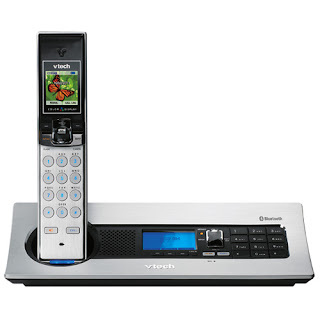 This is just a guess though but the VTech LS5145 has other cool features aside from picture caller id. 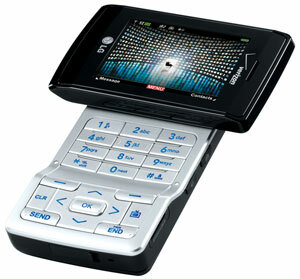 You can use MP3 or polyphonic ringtones, can connect to Bluetooth phones, and has a 64k color LCD. Well, that's it. Anyways, watch Iron Man to see other cool cars and gadgets. Can't wait for the sequel (I hope it has one). I liked Iron Man also..I can't wait to watch the movie's sequel..I wonder what funky gadgets will Iron Man use in the next movie.